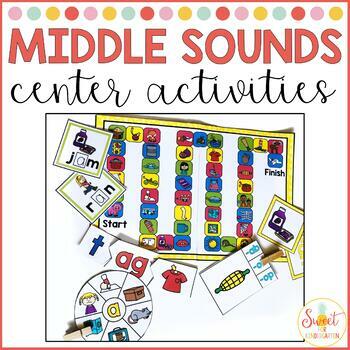 All the center activities you need to teach short vowels, middle sounds, and word families. 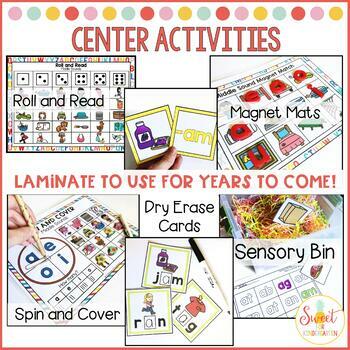 This product includes 12 different center activities, designed for Kindergarten students. 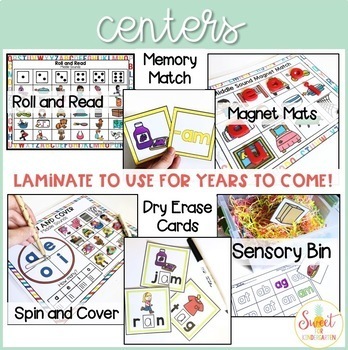 All centers can be printed either in color or black and white. 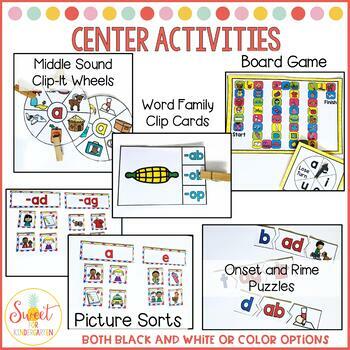 Short vowel skills included are middle sound, word families, and onset and rime. Please click on the preview for a closer look! Buy the growing bundle now for the lowest price!